In November we finished a great pool project in Fredericksburg, VA. Our great landscape designer, Ian Miller, brought this tough backyard from sloping hills of green grass to spectacular pool views! We added a pool and hot tub, bluestone patios, a stone fireplace, steps and a retaining wall to keep everything in place on this sloping lot. The results are spectacular! Take a look at some of the before and after pictures below. 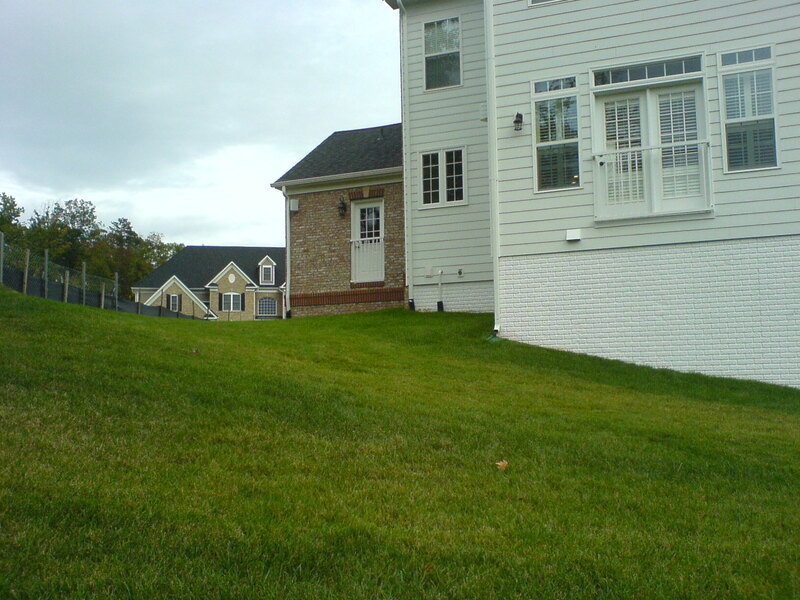 This is the backyard before transformation, sloping hills with nothing but grass. When we were finished it was a beautiful two tiered pool with bluestone patios and fireplace. 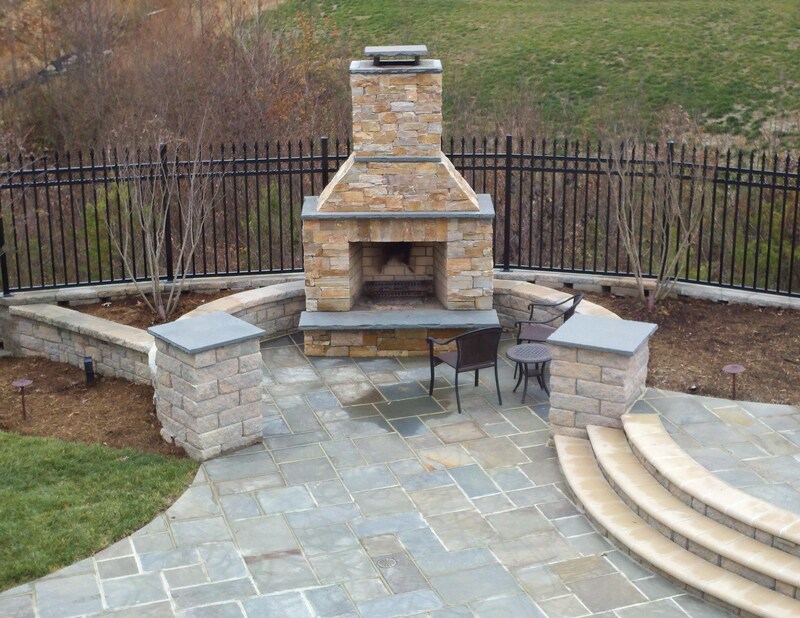 We added this great stone fireplace and seating area. A cloes up of the pool and bluestone surround. We added a flight of stairs, complete with lighting, so that the homeowners could get down to the pool from the upper decks. 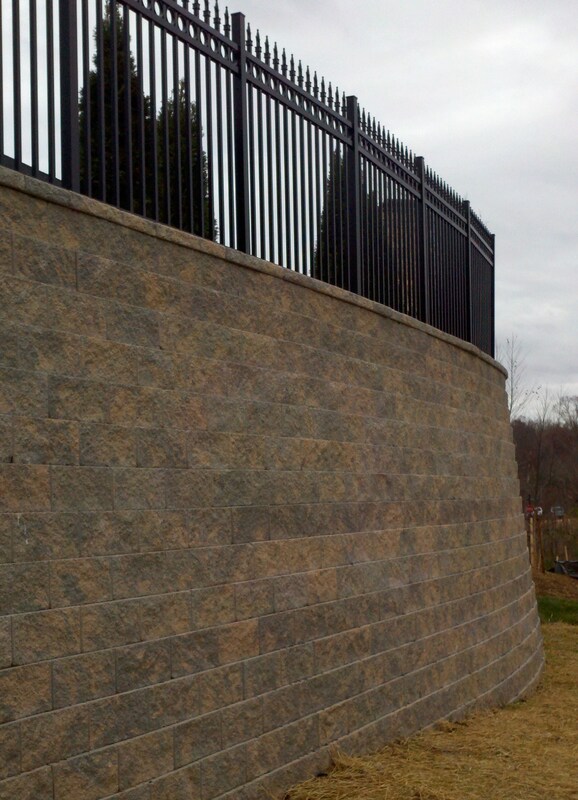 We added a big retaining wall to level the backyard for the pool and fireplace. It was a great project, with great homeowners. 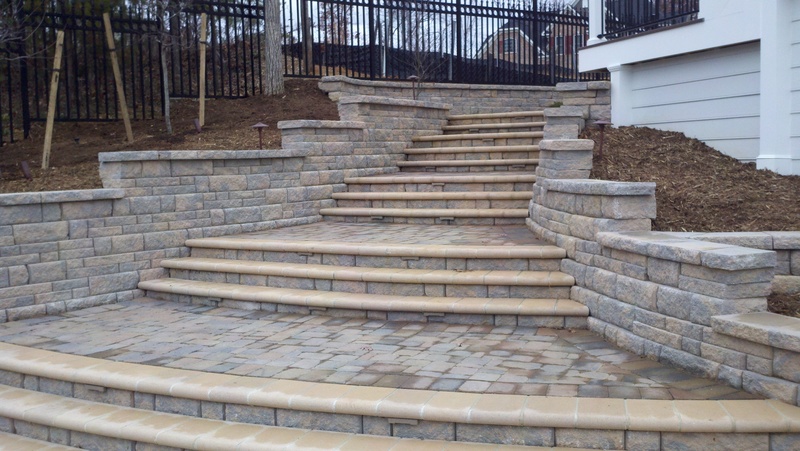 Let us know if we can help you transform your backyard!